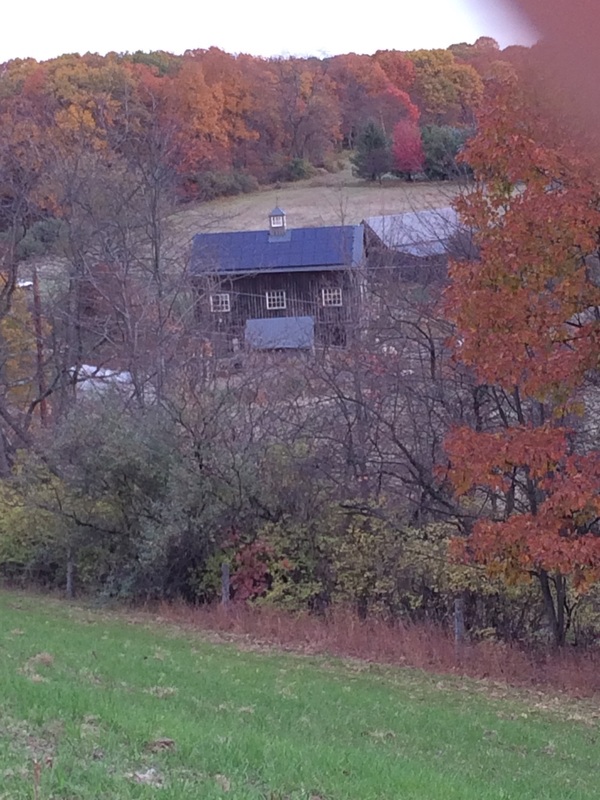 The Boat Barn sits across the drive, behind and a little to the right of the Barn. The Boat Barn stores our assortment of homemade,wooden boats and farm equipment. With its access to the North Field and physical separation from the Barn Field, it is a great location for overwintering the vacationing rams,weaning lambs from their ewes,and providing an extra pen for sorted sheep. A sliding barn door works best,especially when piled snow is on the ground and would impede a swinging door. If we need to keep the door closed,the opaque window panel opens,adding ventilation to the pen inside. 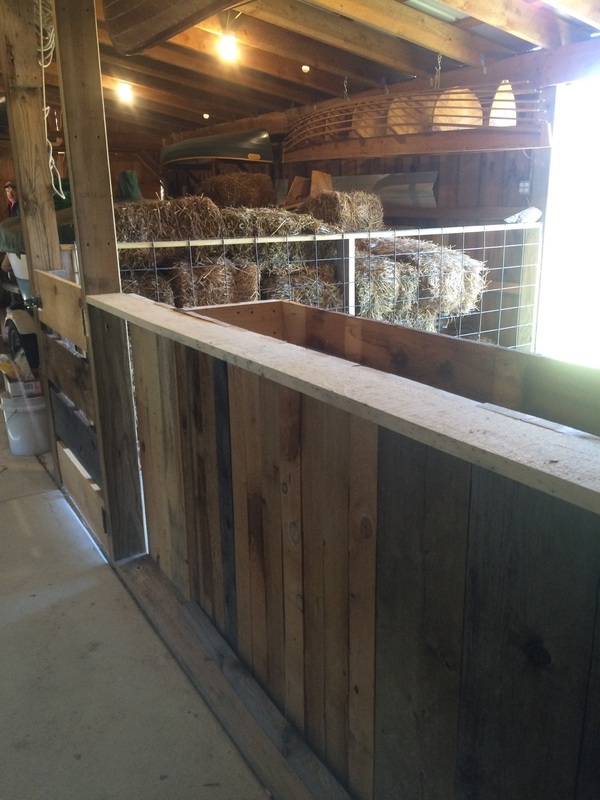 The hay feeder and water bucket are accessible from outside the pen. I can add hay and water from outside the pen which is especially important when the rams are unhappily separated from their ewes. The Boat Barn has electricity to keep water in a heated bucket unfrozen, running water,and an easy to clean concrete floor. High stall walls should keep separated sheep in place. Tucked around the small craft, there is room for some convenient hay storage. Just for this winter,we pounded posts and wired on temporary fencing for a winter ram paddock. In the spring we will permanently fence the North Field with small grazing paddocks,access to the orchard,and long gates so that big boat can leave on its next cruise.